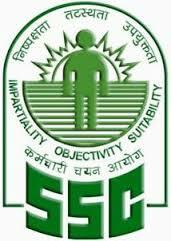 SSC CHSL SYLLABUS - . General Awareness: Questions are designed to test the candidate‟s general awareness of the environment around him and its application to society. Questions are also designed to test knowledge of current events and of such matters of everyday observation and experience in their scientific aspect as may be expected of an educated person. The test will also include questions relating to India and its neighbouring countries especially pertaining to History, Culture, Geography, Economic Scene, General policy and scientific research. Note-1: For VH candidates of 40% and above visual disability and opting for SCRIBES there will be no component of Maps/Graphs/Diagrams/Statistical Data in the General Intelligence & Reasoning / Quantitative Aptitude.